Before falling pregnant, I already had depression and anxiety, but the hormone increases in pregnancy can make these conditions significantly worse. I always thought “I’m not going to be able to cope” or “I can’t do this with the way I am feeling” and it frightened me a little to think that I was all alone through this journey. I always had the support around me, but when I became pregnant I became unsure of how to reach out. I thought that feeling this way while being pregnant may have affected the support I received. However, it has been absolutely amazing and a lot of people who are currently working with me have been fantastic. I won’t say that I never felt ashamed to be scared and a little bit sad about being pregnant, because I did – but then I came to realise that actually this could be the biggest, most positive outcome of a life event that I will experience. I remember seeing two pink lines on the test and I thought to myself “this isn’t real, this can’t be happening” and so I left it a few more days to test again and yes it was definitely obvious that there was a pregnancy journey starting for me this year. I didn’t feel I had anybody to tell straight away and so I waited a couple more weeks for my scan to make sure everything was ok before reaching out for support around the pregnancy. Dial House were the first people I turned to for some support, as I couldn’t cope with the feeling of being alone and thinking that this adventure was going to be lonely. The stress and pressure that I was under already were piling on and I started to struggle to manage it myself. I became so worked up that I was getting confused about where to turn and talk to somebody. I started then to be more and more upset with myself and thinking that I was doing things wrong and that I wouldn’t be able to have a baby feeling this way. I then became very cut off from what support I had around me due to the feeling of loneliness increasing. I started to snap at everyone. My ways of thinking started to change, “I’m angry, I’m upset and I am never going to be happy”. This is what I believed and so I kept myself to myself and didn’t open up about how I was really feeling because I felt so ashamed of my emotions during my pregnancy. It took me some time to get back in contact and ask for support but I am so glad that I did. People that work at Dial House and support me there keep telling me “it’s normal and it’s nothing to be ashamed of, you aren’t alone and there will be lots of other people who are feeling the same as you in pregnancy”. 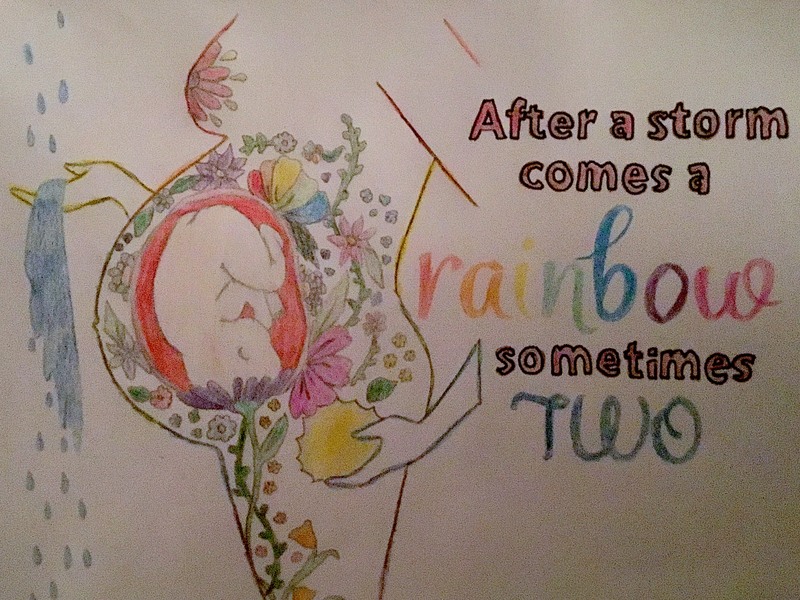 I found this hard to believe as it was the first time somebody had told me it was OK to feel the way I did and that I am still allowed to feel sad and down even if I am having a baby. I have been thinking about my mental health and the support I am receiving; I now have more confidence in knowing it’s OK to feel this way even if it last longer than expected or it affects me more on some days than others. I came to realise that actually this could be the biggest, most positive outcome of a life event that I will experience. The emotional changes in pregnancy are massive. I never thought that I would need as much support as I do at the moment, but not particularly in a bad way. The pregnancy itself is entirely exciting especially knowing that I will soon have my own little person to take care of and yes it’s scary – very scary – but with the right help and support I am managing to push through my battles with mental health. It’s definitely challenging but is certainly a life experience that could be extremely useful in the future. I do still have 3 and a half months left of my pregnancy but I never thought that it would affect me the way that it has done. In the end, I knew that something wasn’t right and I reached out. For others, I would just say, be understanding with yourself, because pregnancy might affect how you feel. It’s normal to feel upset and cry at the smallest things, but if you do find yourself feeling more negative emotions than positive, don’t ignore it and please talk to somebody who can help you, like your GP or a crisis service like Dial House.